OF all the myths from the Polynesian area, probably none have been more frequently quoted than those which recount the deeds and adventures of the demigod Maui. Among the Polynesians themselves almost every group had its own versions of the tales, and the large number of variants, many of which have fortunately been recorded, make the Maui cycle one of the most important for the study of this whole area. spread, and these may, therefore, be first considered. They are fishing up the land, snaring the sun, and the quest of fire. As an example of the first of these feats we may take one of the New Zealand versions 12 Maui had an ancestress to whom it was the duty of the elder brothers to carry food, but they neglected her and ate it themselves. Maui offered to take their place, but when he came to his ancestress, he found her ill, one half of her body being already dead, whereupon he wrenched off her lower jaw, made from it a fish-hook, which he concealed about him, and then returned to his home. His brothers did not like to have him accompany them on their fishing trips, but Maui hid in their canoe, and when they were out at sea next day, he disclosed himself. At first they were going to put him ashore, but finally they agreed to let him stay, since they thought that he could not fish if they did not give him a hook. Nothing dismayed, Maui took out his magic hook, struck his nose with his fist until it bled, and baited his hook with the blood. 13 Lowering his line, he soon got a tremendous bite and at last hauled in the land, like a great fish, from the bottom of the sea. Telling his brothers not to cut it up, he went away, but they disobeyed him and began to hack with their knives, thus causing the great fish to struggle, break the canoe, and kill the brothers, while, owing to the cuts made by them, the land became rough and rugged. In some versions of the myth the land so hauled up was that of Tonga; in others, it was New Zealand, which some of the Maori called Te-ika-a-ma-ui, "The Fish of Maui."' According to another account, 14 the magic fish-hook was made from the jaw-bone of Maui's oldest son, whom Maui had killed for this purpose, the bait being the ear of this same child; and for three moons he laboured to drag up the great fish with the aid of Rupe, a pigeon, to whom he gave one end of the line. much troubled by the shortness of the day, occasioned by the rapid movement of the sun; and since it was impossible to dry properly the sheets of tapa used for clothing, the hero resolved to cut off the legs of the sun so that he could not travel so fast. His mother, accordingly, made strong ropes for him and sent him to his blind old grandmother to get added assistance. He found her cooking bananas, and as she laid them down one after the other, Maui stole them. At length discovering her loss, but unable to see the culprit, she sniffed about angrily until she smelt a man, whereupon she asked who it was, and when Maui told her that he was her grandson, she forgave him and presented him with a magic club to aid him in his attack on the sun. Maui now went off eastward to where the sun climbed daily out of the underworld, and as the luminary came up, the hero noosed his legs one after the other and tied the ropes strongly to great trees. Fairly caught, the sun could not get away, and Maui gave him a tremendous beating with his magic weapon. To save his life, the sun begged for mercy, and on promising to go more slowly ever after, was released from his bonds. "The sun came up like blazing fire, and when his head and shoulders had entered the noose Maui encouraged his brothers to action by saying 'Now pull.' They did so, and the sun drew his limbs together with a twitch. Maui rushed at him with his weapon, and scarce had the sun time to call before Maui was belabouring him, and continued to so do for some time. When they let him go he went away crippled, and in the anguish of his pain he uttered another of his names, Tama-nui-a-te-ra (great child of the sun), and said, 'Why am I so beaten by you, O man! I will have my revenge on you for having dared to beat the great child of the sun.' He departed on his way, but was unable to travel so fast as before." It will be noted that this and other New Zealand versions, 25 like all those so far recorded from the rest of Polynesia, 26 lack the incident of the visit to the blind grandmother. This episode of the stealing of food from a blind person is, however, widely current in Polynesia, but is, as a rule, told in connexion with another hero, Tawhaki, whose adventures and relationship will be considered later. On the other hand, it is not uncommon in Melanesia, 27 and is also found in Micronesia 28 and Indonesia. 29 In the Society Group a somewhat different aspect is given to the story by the fact that the purpose was not to make the sun go more slowly, but to bring it nearer, so that it might more quickly heat the stones that Maui used in cooking his food. 30 In Samoa the adventure, albeit in a somewhat abbreviated form, is attributed not to Maui but to the Sun-Child, some of whose other adventures are widely spread in Polynesia. published from there; on the other hand, the whole Maui cycle is apparently less important in this Group than elsewhere. The various versions of this legend which have been recorded in the Polynesian area present minor differences which would seem to be significant, and a consideration of some of the separate incidents of this myth may, therefore, be instructive. In the first place, the idea that fire was originally obtained from the underworld (a feature found in all these Polynesian versions) is one which also occurs in Melanesia; 35 although, on the other hand, a more usual explanation in this area is that fire was either brought from another land by some animal after several unsuccessful attempts or was accidentally discovered. 36 In the Polynesian versions of Maui's exploit the method by which his parent and he reached the underworld varies considerably. Thus, in the form outlined above, the opening to the nether world is concealed under a tuft of reeds or grass, and this same idea appears in both the Samoan version and in that from Nieue. Forms of the tale from New Zealand, 37 Samoa, and Mangaia (Cook Group), however, state that the parent went to a rock or cliff, and repeating a charm caused it to open, thus revealing the entrance to the lower world. 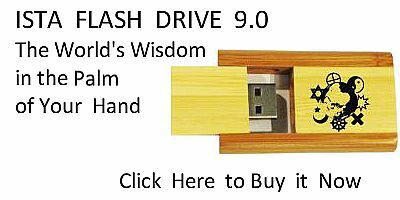 This "Open Sesame" incident by itself is found in numerous other myths from New Zealand," as well as from the Chatham Islands 38 and Tahiti, 39 and is reported also from British New Guinea 40 and from Halmahera. 41 Still another way of descent to the underworld, namely, by pulling up one of the house posts, occurs in one of the Maori versions, as it does in that from Manihiki. Wooden figure representing an ancestor or possibly some minor deity. New Zealand. Peabody Museum, Cambridge Massachusetts. The incident of the rain being invoked to extinguish the conflagration which threatens to destroy the world is also known from the Melanesian area. 46 From the foregoing it would appear that we must admit that Melanesian elements are to be recognized particularly in the New Zealand and Chatham Island versions of the myth, and perhaps in the Marquesas as well. on shore and sent his three brothers out in the canoe, thinking thus to fool the clever birds; but when they perceived that one of the Maui brothers was missing from the boat, they refused to build a fire. At last Maui hit upon a stratagem. Setting up in the canoe a roll of tapa arranged to look like a man, he hid on shore while his brothers put to sea with the dummy. The birds were deceived and set to work to build a fire, but before they had finished, Maui, who could not restrain his impatience, rushed up and caught one of them, threatening to kill it unless it divulged the secret of how to make fire. The bird tried to cheat him several times by giving him false information, but at last, in peril of its life, told him the correct sorts of wood to use, and so the mystery was learned. In revenge for their attempted treachery Maui then rubbed the head of the bird with a firebrand, and so ever since these birds have had a red spot on the top of their heads. In speaking of the more usual version of Maui's exploit it was pointed out that a wide-spread myth of the origin of fire in Melanesia and Indonesia declared that animals or birds brought it from a distant land. 48 While this is by no means an exact parallel to the Hawaiian tale, it presents the nearest approach to it of any of the myths of the origin of fire that are known from the whole Pacific area. the sky, first to the level of the tree-tops, next to the mountain-tops, and then by a mighty effort thrust it up to its present height. 50 The deed is here accomplished in a rather commonplace manner, wholly by Maui, or Tiitii, as he is called in Samoa, and no question of any deity whatever is involved. 51 In Hawaii no other form of the episode seems to exist, but in Samoa 52 there are several variants, according to which the sky is raised by another being at the behest of Tangaloa. Two types appear in the remainder of central Polynesia from which we have material available. There is, first, that where the action is attributed to one of the deities, usually Ru; 53 and secondly, that form which ascribes the deed to Maui, aided by Ru. 54 Almost throughout this area 55 the myth is characterized by the statement that before the sky was raised it was held up by plants, which owe their flat leaves to the pressure so exerted. As was suggested on a previous page, the episode of the elevation of the heavens seems to have been originally a part of the cosmogonic myths prevalent throughout the Polynesian area, with the exception of Hawaii. 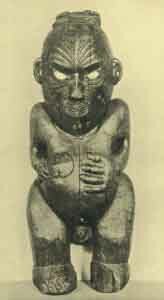 In New Zealand it remained such, owing to the rupture of all communication with the rest of Polynesia after the period of the great migrations of the fourteenth century; but in central Polynesia, on the other hand, it largely lost its true cosmogonic character and was assimilated by the Maui cycle, being carried as such to Hawaii, which lacks any other form, though vestiges of the older cosmogonic type linger in the central area. and the water wag-tail, and these all assembled together, and they all started with Maui in the evening, and arrived at the dwelling of Hine-nui-te-po and found her fast asleep. "Then the young hero started off, and twisted the strings of his weapon tight round his wrist, and went into the house, and stripped off his clothes, and the skin on his hips looked mottled and beautiful as that of a mackerel, from the tattoo marks, cut on it with the chisel of Uetonga, and he entered the old chieftainess. "The little birds now screwed up their tiny cheeks, trying to suppress their laughter; at last the little Tiwakawaka could no longer keep it in, and laughed out loud, with its merry cheerful note; this woke the old woman up, she opened her eyes, started up, and killed Maui." We have here one of those simple tales, told in some form or other by many peoples, which account for death by declaring it to be the result of a dispute between two persons, one wanting immortality for man, the other not. Often, as in this instance, the case is settled merely by fiat; in others there is some form of conflict or other means of victory by one of the disputants; while very frequently the desired regeneration is compared to that of the snake which casts its skin and is thus renewed. This type of myth appears to be wholly lacking in Polynesia outside of New Zealand, with the exception of Tahiti, where the incident is, however, not related of Maui, and where the moon takes the positive instead of the negative side. 60 It is perhaps significant that similar tales, or those ascribing the origin of death to some mistake or misunderstanding, are widely current both in Melanesia 61 and in Indonesia. 62 The prevalence of legends of this character in New Zealand and of the more elaborated theories of the origin of death, as shown in the myth of Maui and Hine-nui-te-po, may well be interpreted, in view of their occurrence in Melanesia, as part Of the demonstrated Melanesian influence in Maori mythology. Their absence in the rest of Polynesia, taken in connexion with their presence in Indonesia, is not so easy to explain, unless on the ground that they have been overlooked or not recorded. The capture and imprisonment of the winds is one of the minor feats often attributed to Maui in New Zealand, 63 where he is said to have caught and confined in caves all but the west wind, which eluded him. In Samoa 64 the winds are gathered up and put in a canoe or coco-nut; while in the Chatham Islands 65 they are collected in a basket, not by Maui, but by another hero, Tawhaki. Two other episodes forming part of the New Zealand cycle of Maui stories remain to be considered. In the first of these Maui turns his brother-in-law into a dog, usually as a result of being angered by some action, such as that of eating up the bait prepared for fishing. There are many variants of the tale. 66 In some the unsuspecting brother-in-law is transformed while Maui is cleaning his head; in others Maui moulds and models the sleeping victim into his canine shape; while in others again he produces the result by hauling his canoe over the body of his brother-in-law, whom he has asked to serve as a skid. 67 So far as published material goes, this tale is not found outside of New Zealand. The other episode is that where Maui kills Tuna, the eel lover of his wife. 68 The latter went one day to the stream to get water, and while she stood on the bank, Tuna came up in the guise of a great eel, struck her with his tail, knocked her into the stream, and maltreated her. Angry at this, Maui laid down two logs on which Tuna might cross over, and then, hiding, killed the eel as he came, after which various plants, trees, fish, and monsters of the deep were derived from the creature's head and body. 69 Unlike the previous episode, this seems to be more or less closely related to other incidents found elsewhere in Polynesia. Two aspects of this myth are worthy of further consideration. The "Beauty and the Beast" incident (i. e. the lover who comes in animal guise) is one widely current in parts of Melanesia 75 and Indonesia, 76 but apart from this central and western portion it does not appear to be common in Polynesia. 77 The origin of the coco-nut from the buried head of an animal or person is very wide-spread in Melanesia 78 and occurs also in Indonesia. 79 The myth is, to be sure, one to which the general resemblance of the coco-nut to the human head might be expected to give rise, and in view of this its absence from Hawaii is interesting.